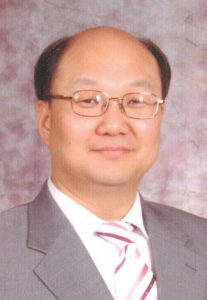 I would like to thank all those who support the SCD Korean School of Theology. 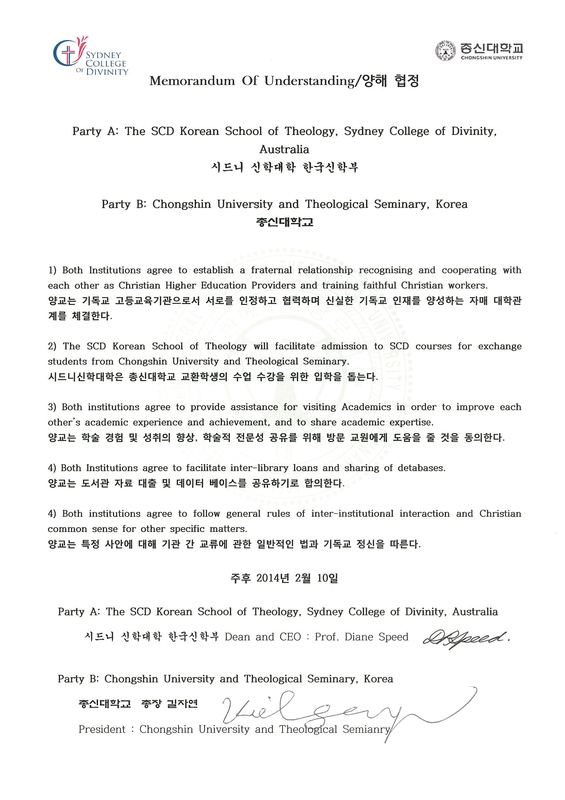 Sydney College of Divinity, a prestigious Australian institute that provides theological education, began operating the Korean School of Theology in the second semester of 2010. This is an excellent example of Australia’s multiculturalism. It provides the opportunity for people to study theology in the Korean language within Australia, an English-speaking country, and earn a degree officially recognised by the Australian federal government. 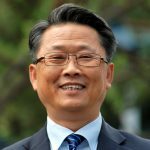 I would like to express my sincere gratitude as the Korean School of Theology works diligently to continuously improve the quality of education and academic standards, to become even more a “theological institution serving for churches” and a “theological institution that produces trustworthy Christian workers”. 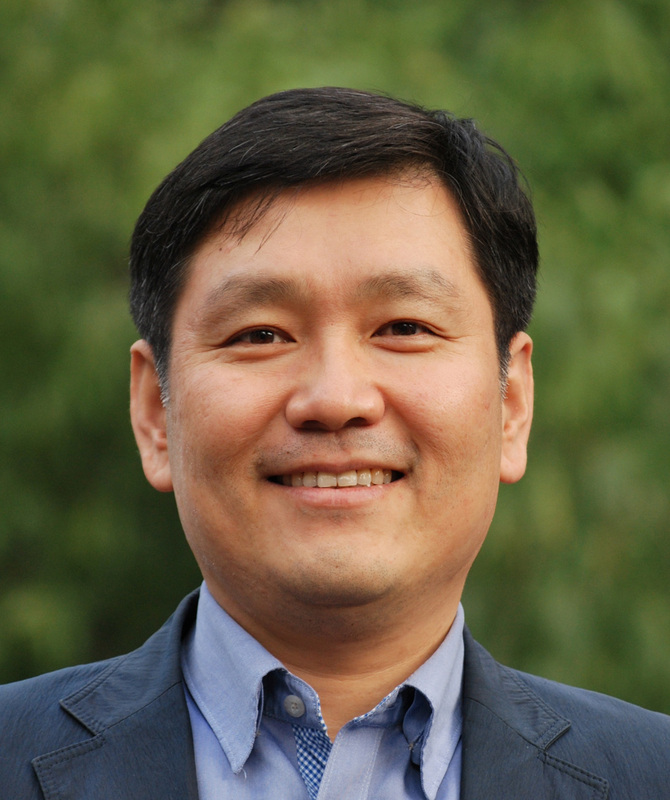 The SCD Korean School of Theology has also established partnerships for academic exchanges with leading theological educational institutes in Korea, such as Soongsil University, Chongshin University and Theological Seminary, Sungkyul University, Kosin University, Presbyterian University and Theological Seminary, Seoul Bible Graduate School of Theology, and Asia United Theological University. The SCD Korean School of Theology strives to contribute to the expansion of God’s Kingdom and to serve the Korean community in Australia in accordance with our motto, “Piety and Scholarship”. I would like to praise God for equipping this college with lecturers who have the skills and spirituality necessary to train future leaders with good hearts and minds, and I ask you to continue to support and pray for the Korean School of Theology. We would like to express our gratitude to all of you who visit the SCD KST website! One, we believe in God who is revealed in the Bible, our Savior Jesus Christ who came to earth as the Son of God, and the Holy Spirit whom He sent, and we receive historical orthodox Reformed Theology as our theology. Two, we pursue a sound ecumenical theology that works together with other Christian churches that accepts the Nicene Creed. It is a partnership in a mission-minded approach that extends the Lord’s kingdom, acknowledging the diverse characteristics in faith of different denominations and the diversity of methodology in theological pursuits. 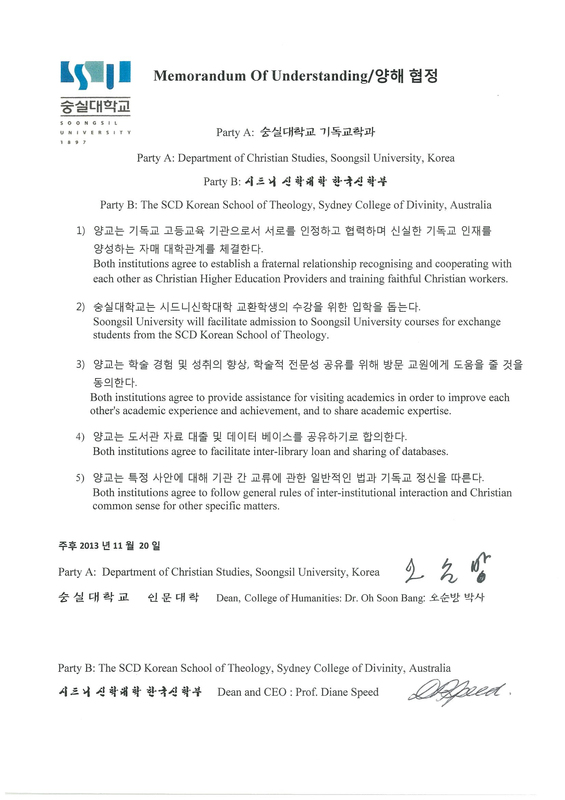 This is the position of SCD Korean School of Theology. Three, we maintain the academic standards of accredited Australian Higher Education Providers that award degrees recognised by the Australian Federal Government. 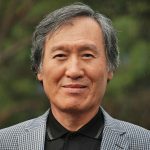 Based on the positive achievements of Korean churches, we aim to nurture balanced Christian intellectuals and trustworthy devoted Christian workers who pursue the renewal of Australia, the country where we live, and Australian churches, and the services of all the nations. Four, we are a non profit educational institution that is accredited by the Tertiary Education Quality and Standards Agency(TEQSA) of the Commonwealth Government of Australia. We seek a high level of education without seeking a financial gain. 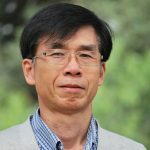 We invite those who have studied theology and have higher degrees in Korea, Australia, or other countries, and who have a good reputation within the Christian community, to form a trustworthy faculty. 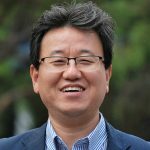 In addition, each semester we invite leading theologians from Korea to deliver lectures and exchange ideas concerning recent theological trends. Students are required to take an active part in campus life, utilise the library, attend the chapel, participate in the college mission, attend Biblical language classes regardless of their major, serve at a church, and maintain dignity as a theology student. Formed in 1983, the Sydney College of Divinity began as a consortium of theological colleges in Sydney. Further development has seen the College reach beyond the Sydney basin to provide theological education across Australia, in New Zealand, and by distance across the world. SCD coursework programs in English are taught by our Member Institutions (SCD coursework programs in Korean are taught by the SCD Korean School of Theology). 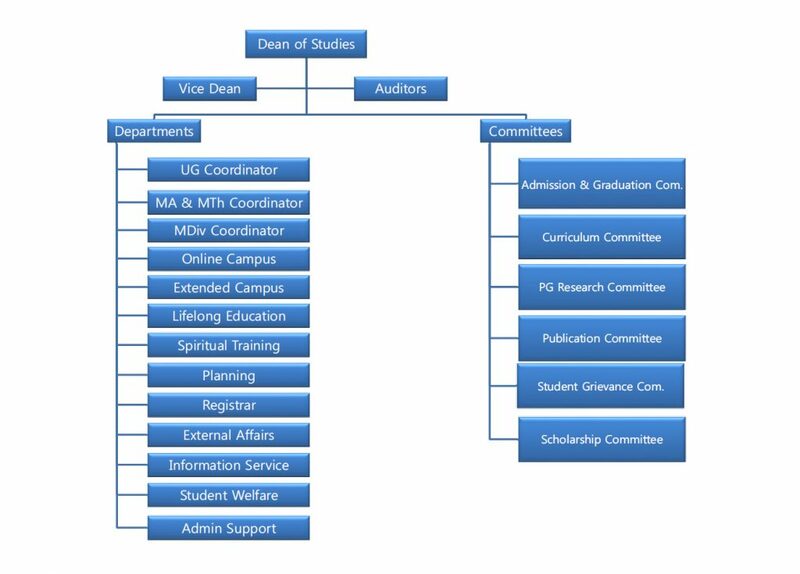 Our Member Institutions offer courses from the shared curriculum in line with their church traditions and ethos, while all work together through our academic governance to ensure the academic integrity of the degree programs. The Sydney College of Divinity welcomes the admission of new member institutions who embrace our aims, ethos and educational philosophy. 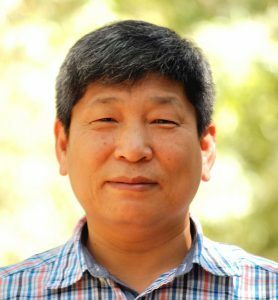 Led by Dr Ho Nam Kim, the SCD Korean School of Theology operates in close consultation with the Dean of Sydney College of Divinity, Professor Diane Speed(MA Hons, MTh Hons, PhD). A strong faculty is formed with qualified academic teaching staff who come from various Reformed church backgrounds. Intensive lectures delivered by outstanding visiting lecturers from Korea have proven to be fruitful and increasing student exchange with the Korean MOC partners have been positively examined and developed. As the demand for postgraduate studies at the SCD Korean School of Theology increases, the SCD KST faculty has been reinforced and overall research capability is in the process of demonstrating a positive trend of growth.